In this post we’ll review the top rated laptop computers for 2011 broken down into 3 different categories, best value or student laptops, best PC gaming laptops, and the best Mac Laptops. When rating our top student laptops we wanted to make sure to not only find affordable choices, but also lightweight laptops with an extended battery life. Students often spend up to 10 hours a day on campus and in the library in areas without a convenient plug. While some campuses are making strides towards making media-friendly desks, it’s still not always or comfortable to carry around an AC adapter all day long. Here are 3 student laptops that are among the bestsellers and best rated for students and personal use. *Mac Users – See the Best Mac Laptops section below. 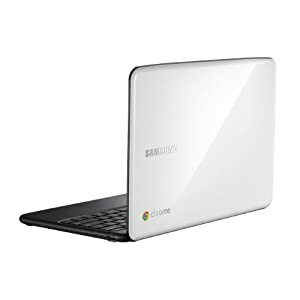 The Samsung Series 5 3G Chromebook is the bestselling laptop of 2011 to date. The under $500 price tag along with the 10 second boot time make it an especially attractive option for students with a budget that are always on the go. With a 8.5 hour battery life, you can take the Chromebook on campus and use it the entire day without having to worry about plugging it in. The SuperBright 12.1″ high-resolution non-glare display is ideal for classroom setting which often have fluorescent lighting. Most importantly it only weighs 3.3 pounds, so you can easily carry it while biking or walking to school. Cons: While the Chromebook is a great option, the Chrome OS is still new and while it’s great for basic document creation it doesn’t come with the flexibility of a Microsoft Office. Overall: We still think this is a great laptop for students looking to have a lightweight, inexpensive, and long battery life laptop. 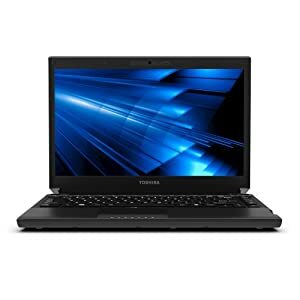 The new Toshiba Portege has an attractive magnesium blue look and is a great option for those looking for a fully PC functional laptop. The Portege also comes with the all new “Sandy Bridge” Intel Core i5-2410M processor which comes with Intel’s Turbo Boost Technology which allows it to boost to speeds of up to 2.9GHz when performance requires it. It also comes with 4GB DDR3 1333MHz but you can upgrade it to 8GB for those looking to turn this into a performance machine. The 640GB hard drive is big enough for all of your files, and the USB 3.0 port makes them easier than ever to transfer to your home based PC or Mac. It has a 13.3 inch laptop screen, and weighs just over 3 pounds. Like the Chromebook the Portege has a great battery life at up to 9 hours. If you want to get additional performance out of your Portege consider swapping out the hard drive for a solid state drive. Doing so will give you faster boot, read, and write times. Overall: Overall we give the Toshiba Portege 5 stars for value, weight, battery life, and features. We also like that you get the slim design and performance processing along with USB 3.0 technology. 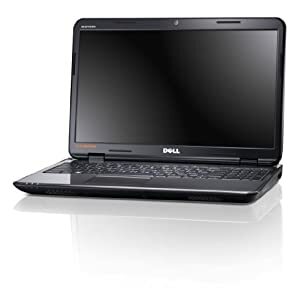 The Dell Inspiron 15R is different than our other two choices in that it is more of a full-size laptop. The 15.6 inch screen gives you more screen space and with the Intel Core i3-380M Processor you get hyperthreading for up to 4 way multitasking. Although it’s not as lightweight as our other featured laptops (6 pounds) it’s still light enough to easily carry to and from campus and to take your most important files with you on trips. Overall: At around $500 you get a great performance product that won’t empty your wallet. The hard drive is large enough at 620GB and you get a decent battery life at just over 4 hours. While we would like to see more battery life, it’s hard to ignore the performance you get with this laptop for the price. Although we’ve already written a post about the best gaming laptops of 2011, we wanted to quickly review two new options we’ve seen since writing that post. When looking for a laptop gamers want all the performance they can get for their money, while still being durable enough to last through the rigorous hours that gaming can put through it. Asus makes affordable gaming laptop options with both. The first option that we wanted to review is the Asus G73SW-AW Republic of Gamers Laptop. For around $1600 this is the best performance/value option that you’ll come across. Many editors and designers purchase gaming laptops to get the kind of performance they need for their video editing. The G73SW-AW comes with the all new “Sandy Bridge” i7-2630QM processor which boosts up to 2.8GHz when performance requires it. You also get the Nvidia GTX 460M Graphics with 1.5GB GDDR5 dedicated graphics card that is capable of ripping through even the most performance intensive games. Another great feature for this laptop is the 1 TB hybrid drive. For those of you not familiar with hybrid drives, they take a small solid state drive, in this case 4GB, and combine it with the hard drives in order to increase all of your drives read and write times. This is a huge plus for those that keep games directly on their hard drive. Like most laptops the G73SW-AW also comes with an illuminated keyboard for nighttime use and the “cool” factor. Additional specifications include USB 3.0, 8GB of DDR3 1333 ram (supports up to 16GB), and a 1 year parts and labor warranty from Asus. 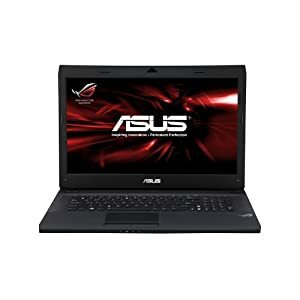 Overall: Overall you won’t find a better deal than the G73SW-AW Republic of Gamers Laptop from Asus. For those of you looking to upgrade right away to the 16GB of ram, or want a larger hard drive, then consider the model a step above the G73SW-AW, the ASUS G73SW-A2. The bestselling Mac laptop computer of the year so far is the Apple MacBook Pro MC700LL/A. Features include a 2.3GHz dual-core Intel Core i5 processor, 320 GB Hard Drive, 8x DVD/CD SuperDrive, 4 GB DDR3 RAM, 13.3 inch LED-backlit display, 1280-by-800 resolution, Intel HD Graphics 3000 with 384MB of DDR3 SDRAM shared with main memory, High Speed Thunderbolt Port, FaceTime HD Camera, and of course the Mac OS X v10.6 Snow Leopard. Key features for the MC700LL/A include the new “Sandy Bridge” Intel dual core i5 processor which gives you twice the performance of the previous MacBook Pro model. This less than 1 inch thick laptop is attractive for travel, work, or student use as it only weighs 4.5 pounds and carries a battery life of up to 7 hours. 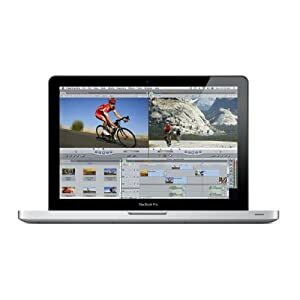 For a budget mac laptop option in 2011 consider the Apple MacBook MC516LL/A. Those looking for additional performance should consider the Apple MacBook Pro MC721LL/A or the Apple MacBook Pro MC723LL/A. We hope you’ve enjoyed this review of the top rated laptop computers of 2011. If you have any questions, then please use our comment section below. If you come across another top rated laptop that you’d like to see featured, then please leave a comment below and we’ll consider adding it to this post. For additional reviews and lists of computer and gaming hardware see our categories section to the right and our top ten lists in the tabs above.